The Hockey Sweater by Roch Carrier has been ingrained in the Canadian consciousness since its creation in 1979. The book and animated short speaks to a truly Canadian experience both on and off the ice. But how did Roch Carrier write this iconic story that resonates with so many people? With the surge of Quebec Nationalism in the 1970s, the CBC approached Roch Carrier, an acclaimed writer, to appear on the radio to explain to the nation “what Quebec wants”. Three days before the deadline, Carrier informed the CBC that he could not complete the project. But his appearance had already been promoted and the studio booked, so Roch frantically wrote a story about his youth. That story would become The Hockey Sweater. The Hockey Sweater is based on a real life ordeal Roch experienced as a child. 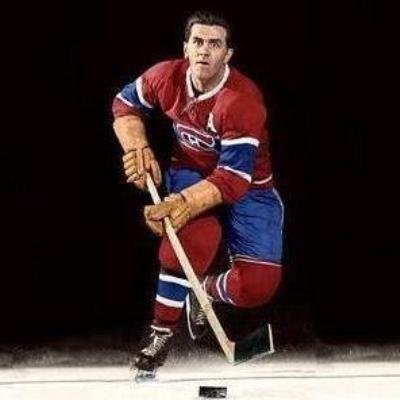 Growing up in Sainte-Justine, Quebec, Roch, idolized the Montreal Canadiens’ superstar Maurice “The Rocket” Richard. 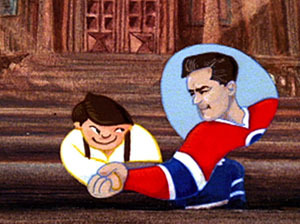 When Roch’s mother sought to replace his old Montreal Canadiens sweater she accidently ordered the sweater of rival team, the Toronto Maple Leafs. The young Roch was humiliated and shunned by his peers for wearing the sweater of the Maple Leafs. And the rest has become a part of Canadian history. Both Anglophone and Francophone audiences quickly regarded The Hockey Sweater as an iconic work of Canadian literature. The story was adapted into an animated short by the National Film Board of Canada ensuring generations of school children would be exposed to the tale. The Hockey Sweater has since become a Canadian fixture receiving endless praise and countless prizes. Astronaut Robert Thirsk even took the book with him to space! 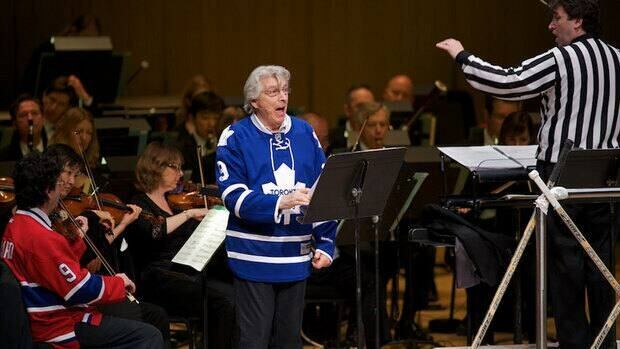 In 2012, Roch Carrier performed The Hockey Sweater live in-concert with the Toronto Symphony Orchestra. A quote from The Hockey Sweater even appears on the Canadian 5 dollar bill! We at Retro Festive would also like to honour The Hockey Sweater with our own Ugly Christmas NHL Sweaters. Whether you’re looking for an Ugly Montreal Canadiens Sweater or an Ugly Maple Leafs Sweater, we’ll make double sure you get the sweater you ordered! These are Ugly Hockey Sweaters you can be proud to wear!